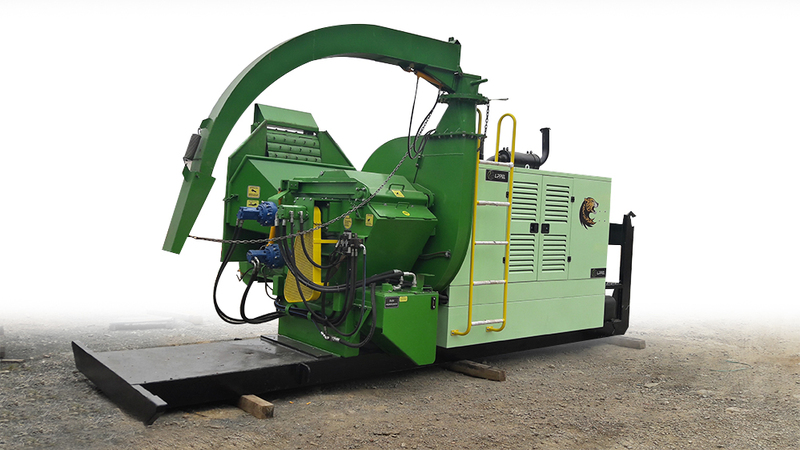 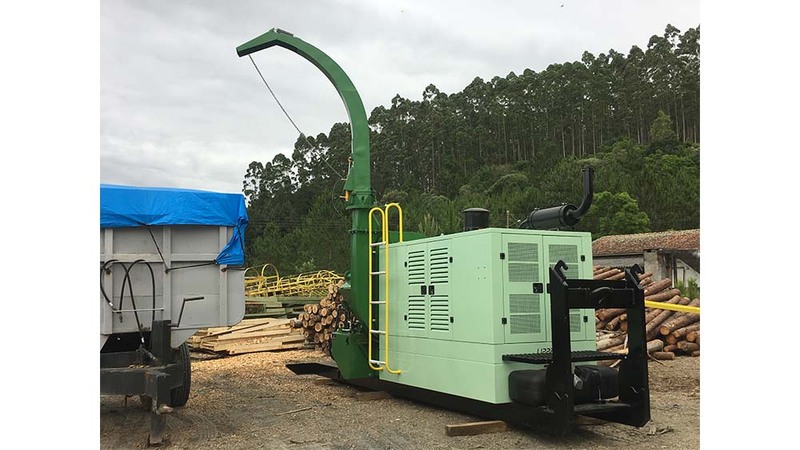 The PFL 400 x 700 Roll-On Forestry Chipper is manufactured on the Roll-On Roll-Off platform that allows quick loading and unloading of the chipper by the truck. 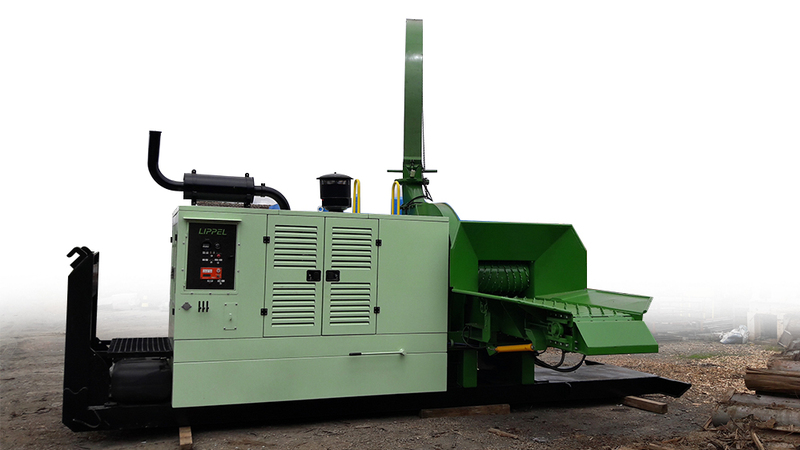 It can be easily carried and positioned on patios you wish to work statically. 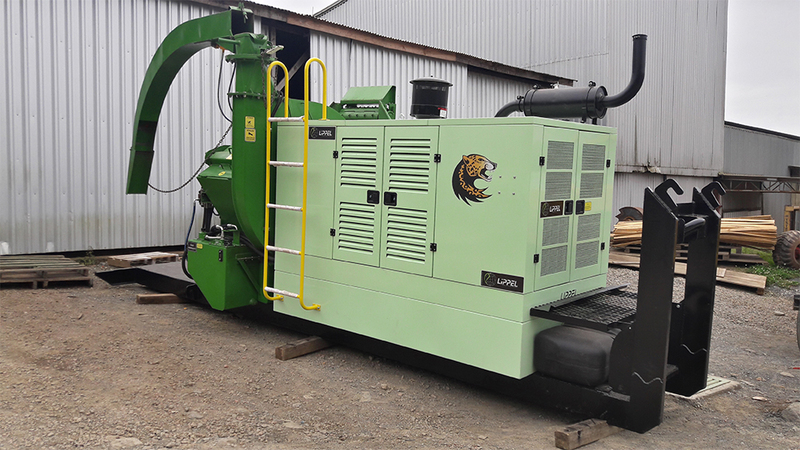 It has its own engine and can produce up to 90 m³ / h (cubic meters per hour). 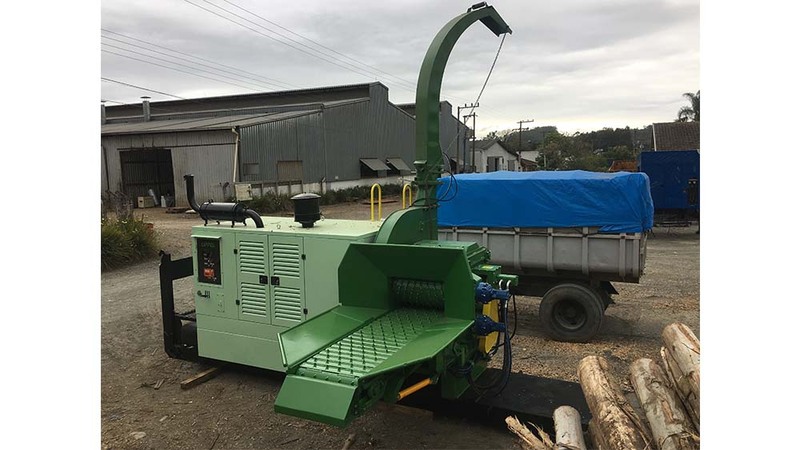 Capacity to chip trunks up to 400 mm, several options in size of feeding belts. 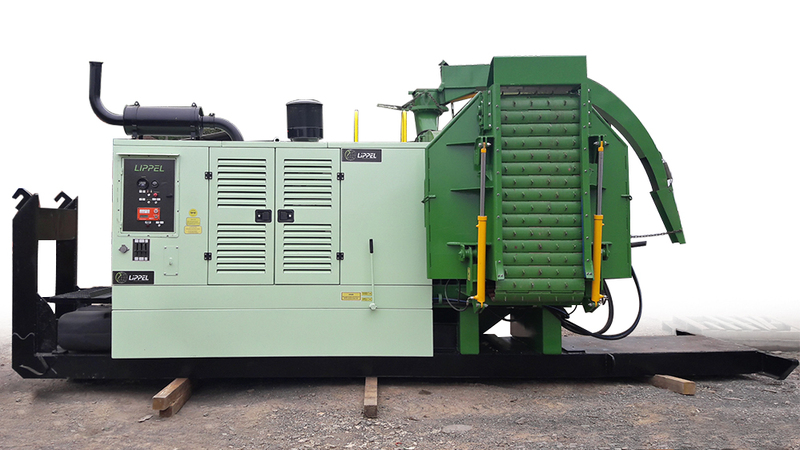 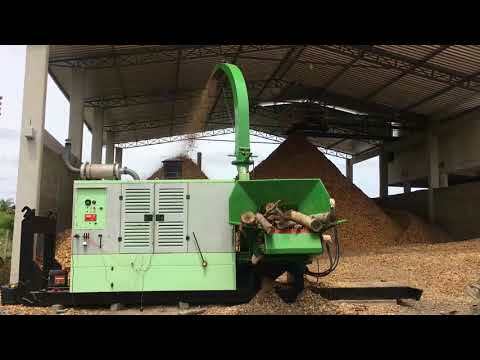 The rotor can be equipped with 4 or 8 knives and attached to the feed control system can produce various chip sizes including micro wood chip size. 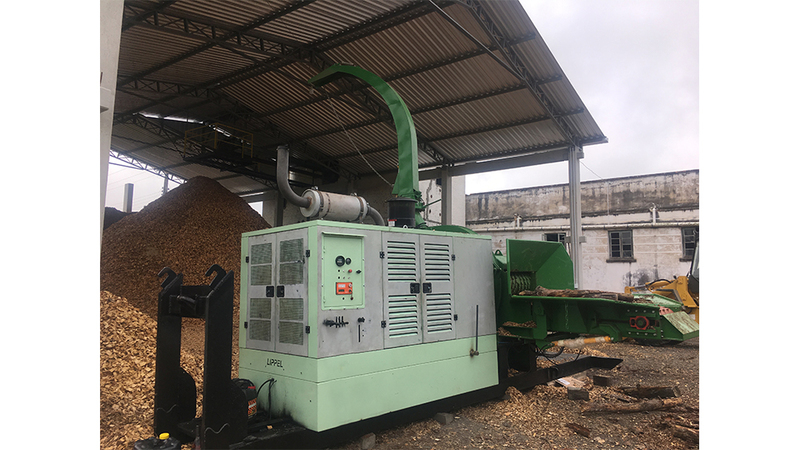 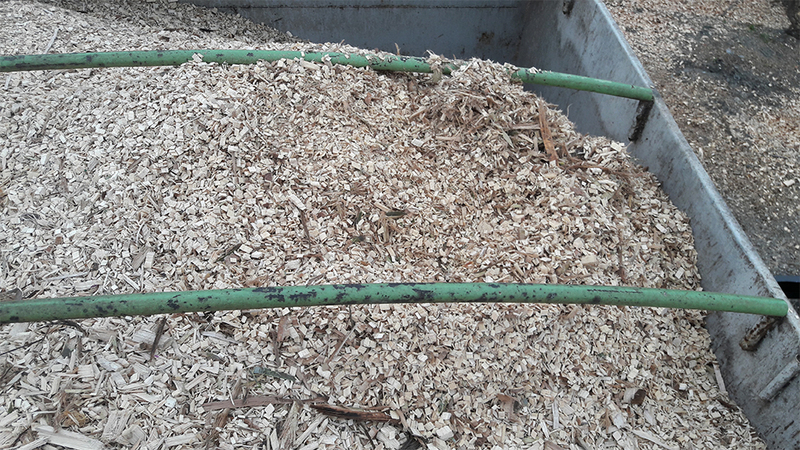 The extraction of the chipped material takes place through the rotating duct 280 ° with discharge deflector for easy targeting of the wood chips.